Lenovo IdeaPad 330-15 series Onyx Black Notebook - Intel Core i7 Kaby Lake Quad Core i7-8550U 1.8Ghz with Turbo Boost up to 4.0Ghz 8MB L3 Cache is the ideal laptop for the home or the office giving you plenty of processing power for casual surfing, streaming, and playing. It comes standard with16GB DDR4-2133 SO-Dimm Memory and a massive 512GB SSD Solid State Hard Drive PCIe as well as 15.6" FULL HD (1920 x 1080 resolution) LED Backlit Display. You can take advantage of its nVidia Geforce MX150 2GB dedicated graphics that is designed to work with all major professional applications and the latest Windows 10 Home 64-bit Edition is Pre-Installed to provide a familiar and productive experience. Although it does not come with an optical drive there is plenty of external storage options such as the 4 in 1 Card Reader that supports MMC, SD, SDHC, SDXC flash memory cards 2x USB 3.0 port , 1x USB2.0 port for you load programs, listen to music or watch movies offline.The newly redesigned Lenovo IdeaPad 330 Series Notebook is super lightweight weighing approximately 2.2 kg has a number of features to maximize your productivity and comfort for all the things you want to do, right at your fingertips. For connectivity, you get Wi-Fi 802.11b/g/n Wireless Lan as well as 10/100 Ethernet Lan port and Bluetooth 4.0 and a HDMI Output port. This display delivers bright, crisp visuals in 16:9 widescreen format and 1366 x 768 resolution. The Lenovo IdeaPad 330 HD display can also rotate 180 degrees, which lets you open it flat onto a table and not have to bend over to read what's on the screen. 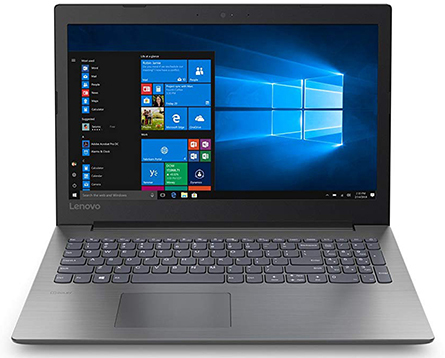 Move data between the Lenovo IdeaPad 330 and other devices quickly with USB 3.0 SuperSpeed; it's up to ten times faster than previous USB technologies, and it's backward-compatible. With 802.11 b/g/n WiFi connectivity, 10/100 LAN, and Bluetooth version 4 you'll be able to connect to the internet wherever you go. 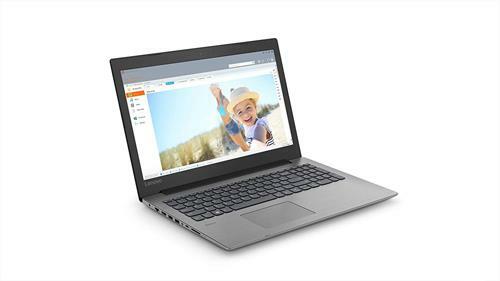 The Lenovo IdeaPad 330 720p HD 0.3MP Webcam and Microphone will help you enjoy web conferences or online video chats like you're really there. Lenovo Energy Management protects the long-term durability of the battery and uses advanced energy-saving technology to increase time spent between charges.